With house prices rising across the country due to the renewed confidence in the economy, now is a good time to make sure that your house is getting the best possible price if you’re looking to sell. In this blog post, we’ll share 3 ways you can increase the price of your house. Buyers will make their first impression of your house from the kerb. This is why kerb appeal is important. A lot of buyers and property valuation experts will make judgements about how much a house is potentially worth from their first impression. Give them high expectations! A whole new front door may not be needed if it can be refreshed with a new layer of paint and a new door number. However, if the door is old or has marks which cannot be repaired then it would be wise to invest in a door. Modern doors are more energy efficient as well as being more durable. When buying a new door there are 2 popular choices; composite and uPVC. Composite is more expensive than uPVC but has a wooden texture, it can add style to the house. uPVC comes in a range of colours but not textures. 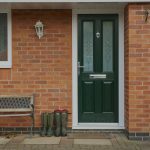 For a guide on buying a door that is suited for you, read our post on the difference between composite and uPVC doors. Front doors are good for making a great first impression but windows are the second things buyers and valuers notice after the door. 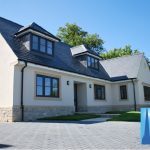 Increasingly savvy home buyers are looking for properties with energy efficiency features such as double glazed windows. The lack of double glazed windows can mean that the home buyer will need to spend money to upgrade the property. When upgrading the windows, adhering to current building regulations will be straightforward and the glazer will take care of most it. 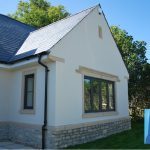 However, for listed buildings or homes in a conservation area, there are certain restrictions such as uPVC windows not being allowed. Similar to doors, windows can come in a selection of materials; aluminium, wood and uPVC. Each of which has different properties but are significantly better than single plane windows. 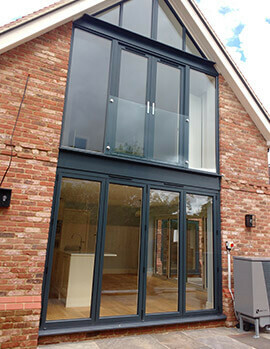 Aluminium and uPVC window frames are typically suited for modern houses and offer excellent durability. Conservatories are a popular choice for increasing the property value of a house due to the fact that most will not require planning permission but checking beforehand is prudent. Choosing the right conservatory for your home is crucial in making sure that your property price rises. One of those considerations is style. If your property is traditional then a conservatory that complements the look would be advised. A modern conservatory would look out of place. Another consideration is choosing the size of the conservatory wisely. Whilst this will be restricted by planning permission it can also be easily extended. The main area to be mindful of is the garden. This a list of both practical and aesthetic changes that valuers can use to judge how much your property is worth. However, buyers will often pay a premium for well designed and attractive properties. Interested in a new door, window or conservatory? Get an online quote today!